How Often Should I Replace My HVAC System’s Filter? Your HVAC system’s filter plays an important role in the heating and cooling process. The filter can affect your system’s efficiency and the quality of the air you're breathing. A clean filter isn't just an added bonus; it's a vital part of HVAC system maintenance. Replacing your HVAC filter is necessary to keep your home healthy and comfortable. Here's why it's important to replace your HVAC filter and how often you should be doing it. All air that passes through your HVAC system also passes through its filter. For this reason, it’s important that the filter is clean and in good condition. Dust, dander, or mold that makes its home on your HVAC filter will eventually make its way into the air you breathe. Consider a coffee filter. Water flows through it quite easily when nothing is in it, but add a scoop or two of coffee grounds, and it slows the water down to a trickle. The same concept applies to your HVAC filter: when it's clean, air can pass through easily. A dirty filter blocks the flow of air and reduces your system's efficiency. If your HVAC system operates with ductwork, then keeping your filter clean is especially important. A dirty filter causes dust, dander, pollen, and other impurities to travel through your system and gather in the surrounding ductwork. While you can have your ducts cleaned, it’s far easier to eliminate the filth early on in the process at the filter. In most cases, HVAC filters should be replaced every 30–60 days. Several factors can impact the lifespan of your HVAC filter. Here are a few things to keep in mind as you determine how often to replace your filter. If you live in an area of the country that has a very dry and dusty climate or has very high levels of pollen, you may need to change your filter more often. Higher levels of impurities in the air will cause your filter to get dirtier faster. If you or someone in your family suffers from severe allergies, it’s wise to purchase filters with high MERV or MPR rating, which indicates the filter’s effectiveness at eliminating airborne contaminants. Additionally, you may want to change the filter more often. This will help to maintain higher air quality in your home and reduce allergen-induced irritation. Dogs and cats add more dander into the mix of airborne pollutants in your home, which means your filter will be working harder. If you have several pets in your home, changing your filter more often will help keep your system running at full capacity. There are lots of different types of HVAC filters, and they vary in quality. If you’re using a thin, inexpensive filter, it will likely need to be replaced more often than a thicker, pleated filter. If your HVAC system needs to be repaired or replaced, contact Pacific Sheet Metal. 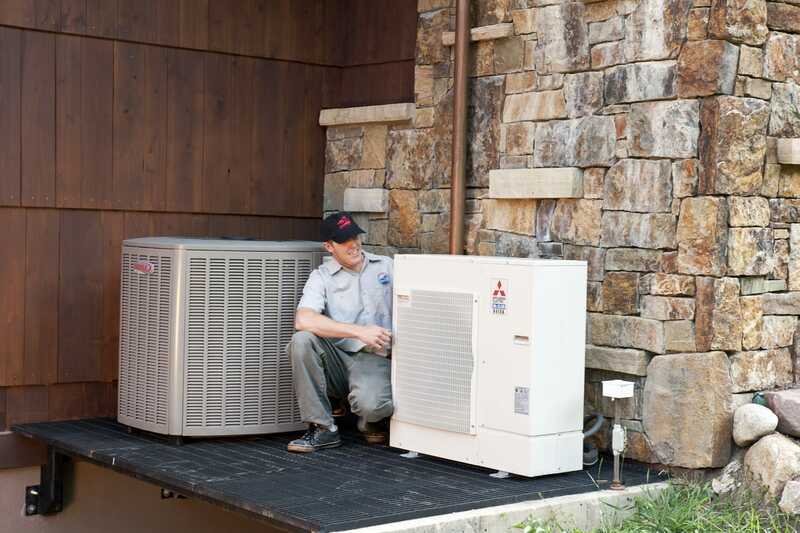 Serving the Carbondale and Roaring Fork Valley area, our experienced HVAC technicians can help you get your system back to normal in no time. Contact us to learn more about how we can help keep your home healthy and comfortable.